The words are simple enough and quite straightforward, but the longer I sit with them, the more I feel a big shift in the place I give to mean words or cruel actions. This friend had an enviable capacity for seeing the good in others. She wasn’t hurt by the misguided actions of those around her because deep down she trusted in their overall intention. But what if we paused? And what if in that pause we asked why we didn’t feel up to submitting that project application? What if we asked ourselves why chocolate had seemed like the best option? And what if, by doing that, we gave a voice to the little bit of us that was hurting? The little bit that felt overworked, or hard done by, or like a big fat greedy guts. I imagine that little voice as a small child and a wise old lady, walking hand in hand. 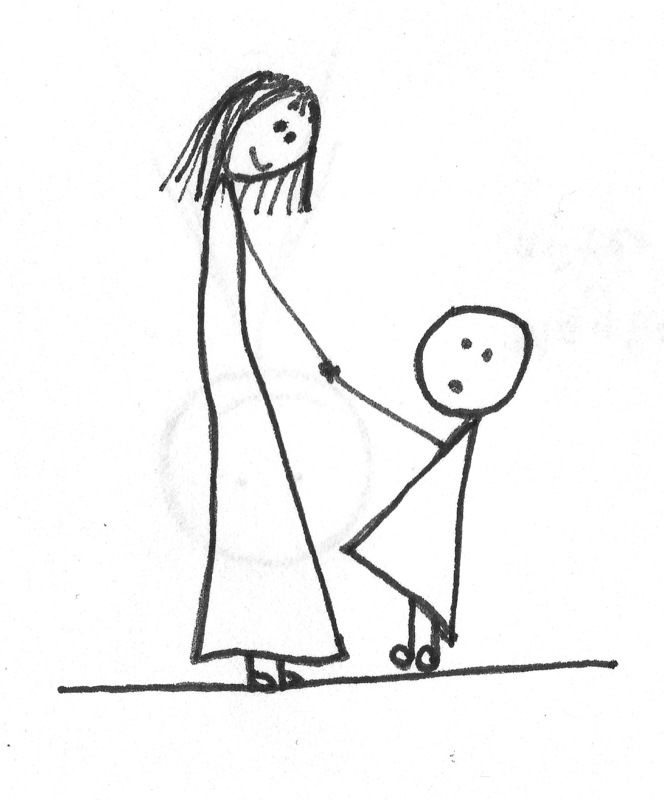 The child is at an age where she is just learning to tell you how she feels. Her feelings aren’t necessarily censored or expressed clearly, and they are very dependent on sleep – but, if you ignore them, she will try a zillion ways to get your attention. It might start with cajoling. Then she might beg. If that doesn’t work, a tantrum may ensue. The wise old lady knows that the cajoling and the tantrum could be a sign of many things. They may simply be the act of a child used to getting her way or an indicator that an early night is in order. Or, the tears might be a call for attention and a bit of love. That little girl in me is very often the one who refuses to do the dishes, the one who eats too much ice cream, doesn’t do her French lessons, or says something mean. And I’m very tempted to scold her for that. I want to send her to her room until she can pull herself together. But when I let the wise, old lady in to translate, I get a glimpse of understanding. Behind the ill-placed comment was frustration at not being understood. The little girl who didn’t do her French lessons thought she’d never be any good. With this new seeing, I have an idea of what might be best to do next. And sometimes it’s just another chocolate biscuit. Some people and ideas who have influenced this post: Julia Cameron in The Artist’s Way, Apithology, Melanie Greene from Inspire Transformation and Shakti Gawain‘s Creative Visualisation exercise, Finding Your Inner Guide. This is so lovely. Well done on a great post. I wrote about thus very same issue on my blog a few months ago but you are more eloquent than me! Being less hard on ourselves is something that women especially find hard to do. From personal experience I know how hard if is to realise why you are doing (biscuits) or not doing (writing that book) that thing.